Don’t let issues with your microwave oven annoy you! And don’t consider kick it to the curb just yet. Give this small appliance one more chance by asking our help. Our Perth Amboy microwave repair specialists can fix problems and restore damage. We use the most reliable repair parts and can replace the damaged components of your microwave oven. All techs from our Perth Amboy Appliance Repair come fully equipped to service the oven and will do a great job. Trust our microwave repair service in Perth Amboy, NJ, no matter which brand you own. We service all microwave oven types and are up to date with the most advanced models. Some appliances have more complex mechanisms and more advanced technologies, but they all ought to heat up properly. If they don’t, give us a call. Which are the most common microwave oven problems? Give our experts a call whichever problem keeps you from using the microwave. And it’s best not to use it until we fix it. Our company assures you that one of our microwave service specialists will assist you in a timely fashion. With a large number of microwave oven parts in our trucks and plenty of experience with the service of these small appliances, we guarantee effective work. Call us if your over-the-range microwave is acting up. Let us install a new built-in model. Don’t toss the counter microwave oven out before one of our techs checks if it’s fixable. Just give us a call. Most of the times, all it takes is to fix a minor problem and replace one part and the oven will be back in working order. With specialized small appliance service expertise, our techs can take great care of your microwave. 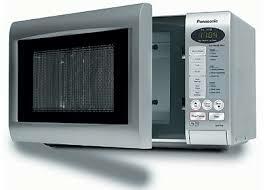 Why don’t you call us today for the best microwave repair in Perth Amboy, New Jersey?